Coming Soon! - The Moon Youth Art Competition opens in late January 2019. More information will be here and at the Humans in Space Art Youth Competition website. Thank you to this year's main sponsor, Other World Computing! the Kuiper Belt object "Ultima Thule," with its closest approach at12:33 a.m. EST on Jan. 1, 2019. This planetary encounter will be the most distant in history! What will we see? Students ages kindergarten through 12th grade can submit artwork with their vision. Entries are due December 27, 2018, 11:59 PM CST! 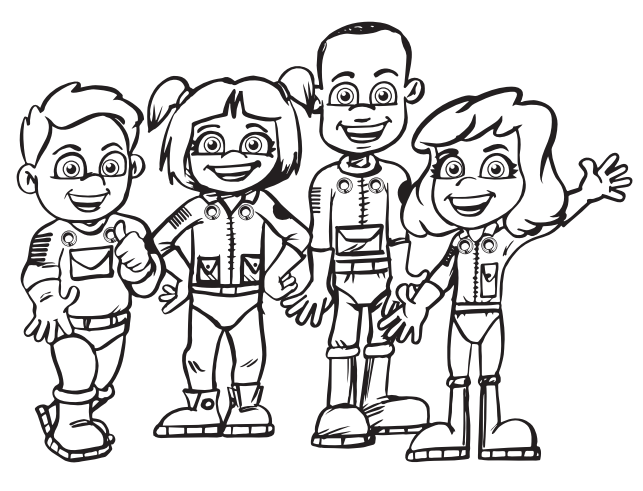 The NASA Commercial Crew Program holds an annual calendar contest for children ages 4 to 12 years old. We are pleased to have helped them with their submissions again in 2019! NASA is using the recent contest winning artwork to create a 2019 calendar with a different space-related theme for each month. Got to the website to see the final 2019 calendar! Shoot A Film. Make a Poster. Tell Your Story of NASA’s Plans for Mars! and to learn about upcoming display events worldwide! Excite the world about your science! ​SciArt Exchange worked with the Lunar and Planetary Institute on a “STEAM Your Science Competition” for attending scientists at the 49th Lunar and Planetary Space Conference in March 2018. ​celebrate the 2017 Solar Eclipse with a Houston-wide literary and visual art contest for all ages. 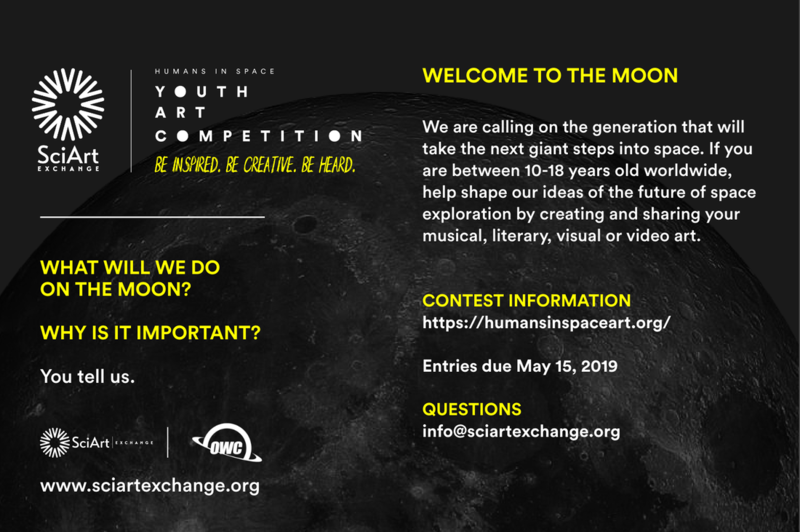 The Humans in Space Youth Art Competition encourages children aged 10-18 years old to submit visual, literary, musical and video artwork with their visions of the future of space exploration and development. The Humans in Space Art Challenge engages college students and early-career professionals to envision the future of space exploration and development and have their artwork displayed worldwide. The Humans in Space Art Celebrity Artist-Fed Engagement (CAFÉ) project invites professional artists to work with scientists and engineers to support the development of space-inspired artwork of all types.